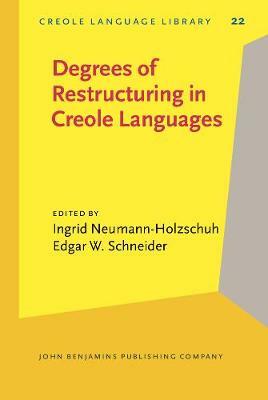 Basic notions in the field of creole studies, including the category of "creole languages" itself, have been questioned in recent years: Can creoles be defined on structural or on purely sociohistorical grounds? Can creolization be understood as a graded process, possibly resulting in different degrees of "radicalness" and intermediate language types ("semi-creoles")? If so, by which linguistic structures are these characterized, and by which extralinguistic conditions have they been brought about? Which are the linguistic mechanisms underlying processes of restructuring, and how did grammaticalization and reanalysis shape the reorganization of linguistic, specifically morphosyntactic structures commonly called "creolization"? What is the role of language contact, language mixing, substrates and superstrates, or demographic factors in these processes? This volume provides select and revised papers from a 1998 colloquium at the University of Regensburg in which these questions were addressed. 19 contributions by renowned scholars discuss structural, sociohistorical and theoretical aspects, building upon case studies of both Romance-based and English-oriented creoles. This book marks a major step forward in our understanding of the nature of creolization.